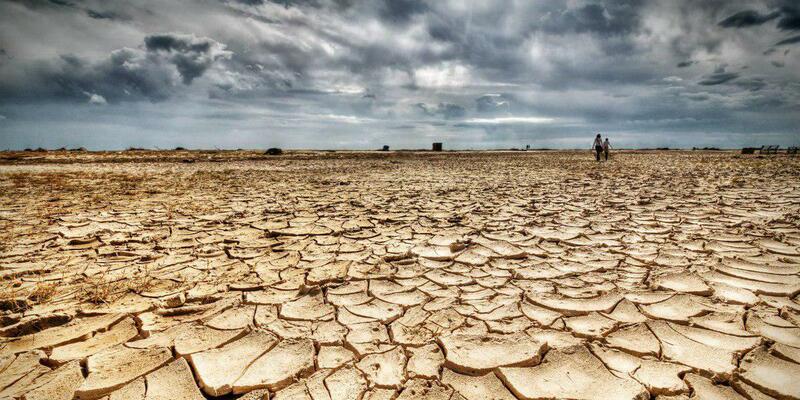 A quick review of the reports on precipitation in Iran over the past month indicates that 27 provinces across the country will experience their worst-ever drought throughout the current year. In a Farsi report, Pupils Association News Agency (PANA) has described Iran as a country with a dry or semi-dry climate where the annual average of rainfall stands at 250mm, which is one-third of that of the global average. The annual average has decreased drastically over the past years leading to a reduction in underwater resources and drying of the wetlands and rivers across the country. All these have put Iran into a number of environmental troubles like dust storms. The latest reports reveal that this year’s average rainfall has reduced by 51 percent compared with the same period in the previous year. The average rainfall at the beginning of the current water year – beginning from autumn and lasting until April 15 each year – has declined to 99.8mm, which shows a 51-percent decrease compared with the similar period last year. If we compare this year’s average with the average rainfall of the last 49 years ago, the figure hits minus 49 percent. On the other hand, major water resources in the country including the draining basin in the eastern borders of the country from Razavi and South Khorasan to Sistan and Baluchestan provinces are going through a serious water crisis, facing a 69 percent decrease in their annual rainfall average. Sistan and Baluchestan province with a 22mm average rainfall is ranked as the driest provinces of the region. Other provinces experiencing their driest years are Kerman, Hormozgan, Isfahan, Fars, Markazi, Bushehr and Yazd. Though forecasts by Iran Meteorological Organization say some regions particularly the western and northwestern cities of Iran are going to experience a relatively heavy rainfall, the shadow of water crisis is still hovering over Iran’s head. Parviz Rezazadeh, an advisor to Iran Meteorological Organization, says though the rainfall during the first two months of the new Iranian calendar year is always heavy, reaching a monthly average of 20 to 25 mm, it is unlikely to compensate the low rainfall in the autumn and winter seasons. He underlined that if no appropriate measure is made to save water this year, Iran will definitely face a serious water shortage. For his part, Shahrokh Fateh, Chairman of the Drought and Crisis Management Department at Iran Meteorological Organization, says at present most regions of the country are struggling with drought and this means that by the end of this year, a large swath of Iran will face water shortage at various levels in long and short terms. “Based on the short-term Standardized Precipitation Evapotranspiration Index (SPEI), drought has already engulfed large swaths of Iran with Khuzestan, Ilam, Bushehr, Kohgiluyeh and Boyer-Ahmad, Fars, Sistan and Baluchestan, South Khorasan, Razavi Khorasan, Isfahan, Markazi and Zanjan provinces struggling with extreme drought,” he said. Fateh added today nearly 99 percent of the whole country is facing short-term drought including a 7-percent mild drought, 31-percent average drought, 42-percent extreme drought and 19-percent worst drought. Iran’s average water reserves stand below the normal level. So, without prudent management in areas like agriculture, industry and environment, the country will suffer serious damages in economic terms. According to the data released by the Iranian Vice-Presidency for Science and Technology, the Iranian government has put special emphasis on the development of technologies in water treatment, drought management, soil conservation, and environment preservation, while promoting investments in these areas. Among the country’s macro strategies in this field are providing access to new technologies for comprehensive management of watersheds and aquifers; providing access to the most advanced techniques for wastewater treatment including wastewater recycling and refining, as well as reducing the pollutants in water, soil and air; and providing access to the technologies required for conservation, restoration, development and sustainable use of water, soil and air resources.